CLEVELAND — Browns players and some lucky Cleveland area school children have at least one important thing in common – they love to play. In fact, the kids at Brecksville-Broadview Heights Middle School are being recognized for their commitment to healthy play by Browns offensive lineman Joe Thomas, team mascot Chomps and the American Dairy Association Mideast. 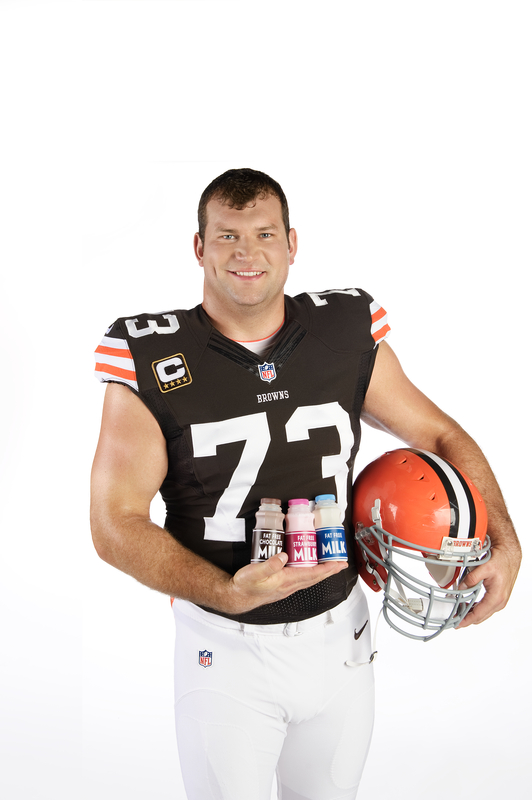 Joe Thomas and Chomps will join students at Brecksville-Broadview Heights Middle School on Tuesday, January 13 to share breakfast and discuss the importance of fueling up with a healthy breakfast, which includes nutrient-rich dairy foods, every day. Thomas will also present a Hometown Grant, developed by Fuel Up to Play 60 and the NFL, for $10,000 to the students to help their school meet its health and wellness goals. Each of the 32 NFL Clubs, Fuel Up to Play 60 and local dairy representatives will provide grants throughout the country totaling a $320,000 investment in youth health and wellness. Brecksville-Broadview Heights Middle School won an inter-district competition that promotes a healthy lifestyle through 60 minutes of play a day. This campaign, called Love of Play, is designed to encourage both kids and adults to be active at home, at school and everywhere in between. The grant will be used to create a new indoor fitness center for the middle school students to enjoy physical activity. Love of Play is a joint effort between The American Dairy Association Mideast, Fuel Up to Play 60, Quaker and the NFL. Research shows that physical activity, in combination with good nutrition, is essential to a healthy lifestyle. However, only 1 in 3 kids are active every day, potentially leaving many at a disadvantage inside and outside of the classroom. The Brecksville-Broadview Middle School is the only school to receive a special appearance from Joe Thomas to reward all of their hard work. Thomas is one of the Browns’ top offensive players and the starting left tackle for the team. He has played in the Pro Bowl for seven straight seasons. He enjoys giving back to the community, and especially talking to kids about how eating healthy can benefit them. A similar event featuring Bengals player Giovani Bernard and mascot WhoDey is being planned for late-January in the Cincinnati area at Amity Elementary. For more information on Fuel Up to Play 60 and the Love of Play program, visitwww.FuelUpToPlay60.com or www.drink-milk.com. 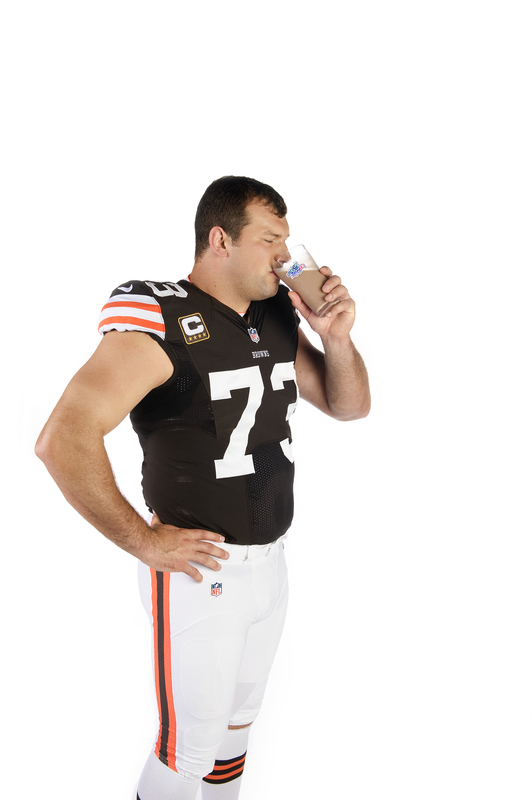 Fuel Up to Play 60 spokesperson Joe Thomas enjoys a glass of chocolate milk. Thomas is featured in new educational videos as part of the Fuel Up to Play 60 campaign. Browns offensive tackle Joe Thomas shows off three good choices of dairy. 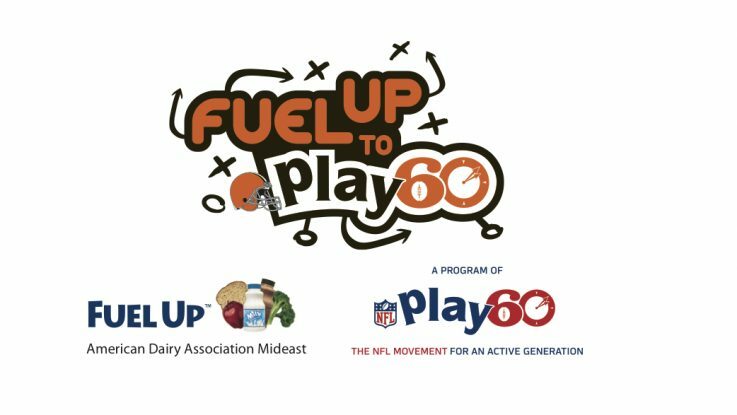 Thomas participates in the Fuel Up to Play 60 campaign from the American Dairy Association Mideast. 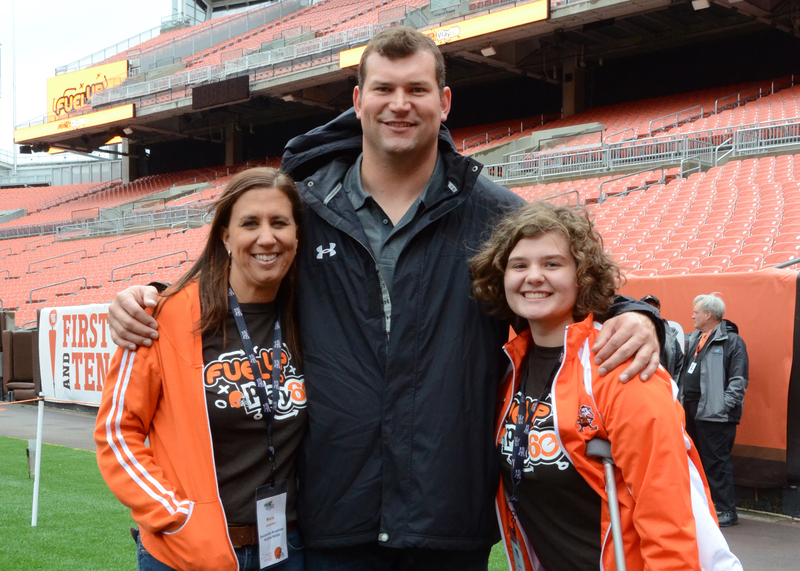 Brecksville-Broadview Heights High School student Avery Diedrick (right) and Fuel Up to Play 60 program advisor Maria Schneider (left) pose with Browns offensive tackle Joe Thomas.